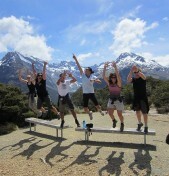 Active Adventures – Born in New Zealand – Now offering the World! QUEENSTOWN, NZ – Delivering travel experiences of a lifetime, expert tour operator Active Adventures was founded in the world’s premier adventure destination – New Zealand! No other destination has been named a top adventure destination by more experts than this. Snow-capped mountains, deep canyons, wild coastline, rivers, trails and wildlife abound. Active Adventures is dedicated to getting their guests to the most beautiful places on earth under their own steam. Kiwi-owned and operated for over 20 years, their hand-crafted trips of a lifetime have been created for people who love hiking and the outdoors and have a passion for travel along with a life list of exciting adventures to pursue. Award-winning small group tours offer a mix of adventure activities ranging from hiking, biking and kayaking to snorkeling, reverse canyoning and caving. Each trip is designed to be flexible based on guest’s needs and available time. No matter where you choose to travel, experience exceptional hospitality, and personal attention to detail from passionate and professional guides who are dedicated to sharing the very best parts of the planet! Active Adventures pledges to be sure each trip is special – challenging, rewarding and allowing guests to really experience the destination. 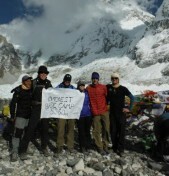 To learn more about Active Adventures, please visit www.activeadventures.com, or call 1.800.661.9073. Founded in 1996, Active Adventures specializes in guided adventure tours to New Zealand, South America, Europe and the Himalayas, and has maintained its identity of running small group, fun and physically challenging outdoor adventures in destinations they know and love. Not content with the status quo, Active Adventures has spent the last 20 years breaking all the “run of the mill” tourism rules – their relaxed style is met with a professionalism that stands head and shoulders above the throng of ordinary tour companies.